Page 1 of 512345. .
Born out of a love of vinegar and other elemental cooking ingredients (such as speciality and organic olive oils, hand-picked Greek herbs, rare global spices and peppercorns to name just a few of our staples), Vinegar Shed is a new fine food business devoted to bringing some of the world’s most interesting, small-batch artisan and exclusive ambient foodstuffs into the UK market. Since launching, Vinegar Shed has already won 14 Great Taste 2017 1 and 2-star awards and our Normandy cider vinegar is also a finalist in The Caterer Product Excellence Awards 2017. Founder and CVO (Chief Vinegar Officer) Andy Harris travels regularly around Europe and further afield to find passionate artisans making some very special products – all are guaranteed to add some amazing flavour in your kitchens and excitement on your store shelves – many ingredients that have never been seen in the UK before – French Chef Stephane Reynaud’s delicious rustic terrines, Riserva di Massimo’s Carnaroli rice and Binet Fleur de Sel, Louis XIV’s favourite salt at the court of Versailles. 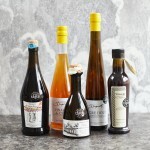 Top chefs like Jamie Oliver, Jeremy Lee, Mitch Tonks, Nathan Outlaw, Pascal Aussignac and Stephane Reynaud are all using the vinegar’s in their kitchens. 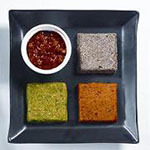 Hungry Dabba takes a comfortable place in todays, changing, healthier curry menus. Our curries and other snacks have been perfected over generations cooking with the freshest ingredients. Hungry Dabba offers truly flavoursome curries using rich mixes of herbs and spices, cooked in pure coconut oil, offers solace to the healthier eaters out there. All of our products are free from preservatives, also gluten and lactose free. The three tier tiffin carriers or Dabbas is the unique method of delivery for this piece of Indian Ocean culinary delight. 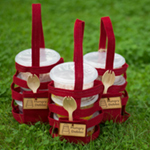 Hungry Dabba packed in transparent tier boxes inspired by the tiffin carriers. Our dabbas are all healthy, microwavable and easy for the getgo. Truly unique to the UK food and beverage industry. Available as chilled and frozen: Also bulk curries starting from 25kg. I am proud to introduce to you the newest and best local supplier for fresh truffles in London, the Region and the World. The company is located in Italy, in the province of Perugia, Umbria and we are based even in London. Our business was founded in the 1980s, but our experience in the world of truffles dates back even earlier than that. What has always pushed us forward, are the will and the passion to make known and to offer a product of nature, truffles, which conquest for its perfumes, its delicate taste and unmistakable and its versatility in the kitchen. Precisely for this reason we have created a varied range of products, which combine colours and flavours in harmony. We continue to make new truffle sauces and condiments, innovation , movement, curiosity, are our engines, the quality of the raw materials used, manufacturing processes ,for us, shall result in a finished product that we like it. 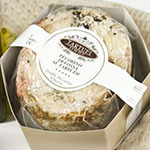 In addition to the selection of preserved products we have; Frozen Summer Truffle, Dried summer truffle in slices or granules and year-round availability of fresh Truffle. Simply Natural Cuisine Limited have an extensive range of frozen vegetarian food options spanning main meals, strudels, wellingtons, buffet items, tarts and pates. These are available to both foodservice and retail sectors. All of our products are GM free and are made from locally sourced natural ingredients – we do not use artificial flavours, colours or preservatives. Wholesale frozen vegetarian food and vegan food manufacturers and suppliers. We have worked alongside several other organisations and are more than happy to help develop and produce products for other parties. Our custom built kitchen and manufacturing facility is located within easy access of both M11 and A14, allowing for easy distribution to all areas of mainland UK. If you have a vegetarian or vegan product requirement that isn’t already within our range please contact us and we shall endeavour to help.